Members of the Cheltenham and Three Counties Race Club visited today for our very first Foaling Information Morning. Sadly we couldn’t open the event up to non-members on this occasion as we soon reached maximum capacity. 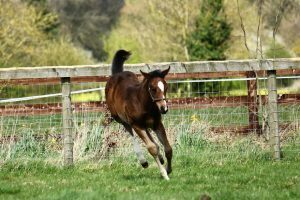 We aim to run more foaling events next season to make sure that everyone showing an interest doesn’t miss out. We’re delighted that our events are so well supported, so thank you all for your interest and for getting involved! Aftercare of the mare and foal. Including why colostrum is so important! We introduced our resident mares and their 2017 foals who were very bold and appreciative of all the attention! The broodmares are always particularly pleased to be involved with the events as they know carrots and polos are plentiful! Foal cuddles along with cake, biscuits, tea and coffee always go down well. We hope our visitors had an educational morning. 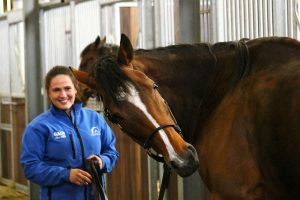 The photos attached were taken on the day by the very talented Sarah Matthews who kindly organised the event with stud manager Natalie. Thank you Sarah. We’re looking forward to holding more events in the future so keep an eye out on here and on Twitter for updates.